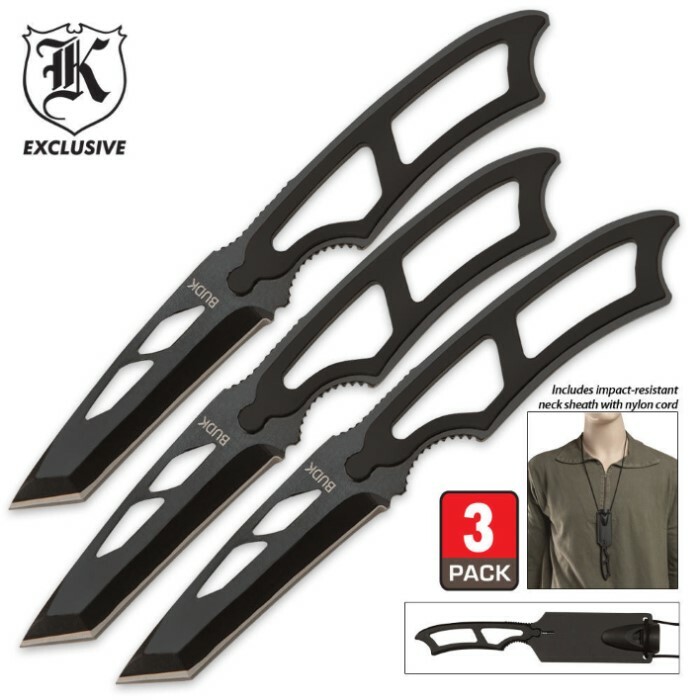 High Tech Survivor 3 Piece Neck Knife Set | BUDK.com - Knives & Swords At The Lowest Prices! This set of three neck knives features full tang construction of black anodized AUS-6 stainless steel with razor sharp 3 1/8 inch blades and ABS handles. The impact resistant sheaths each hold the knife firmly in place and includes nylon neck cords for lightweight transport. 6 7/8 inch each ov.